The original Cape Cod brick house is nestled in an early 20th century Lexington neighborhood. While the house sits in a dense neighborhood it is unusual because it is on a double lot. Throughout the past decade the owner has carefully renovated and added to the original house. We were asked to design the last elements for the property, a new two car garage and renovate the existing garage to a pool house. 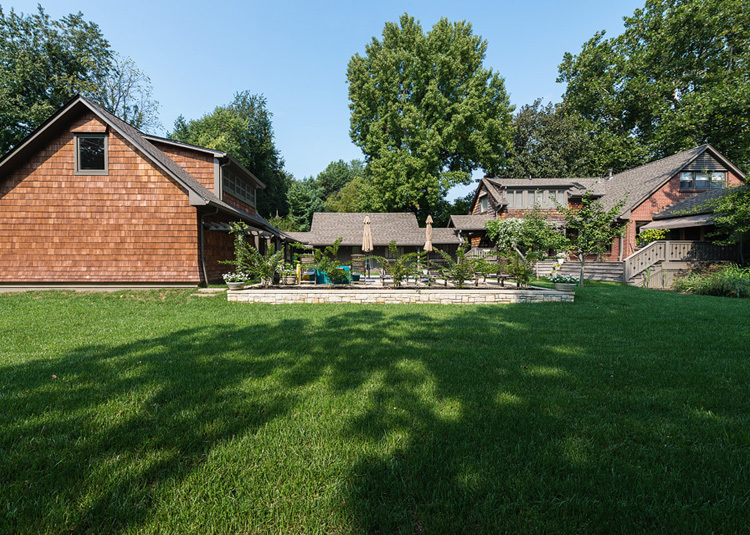 The primary challenge of the property was to expand the event space associated with the pool to the adjacent west gardens and to connect the new garage to the rear of the existing house. 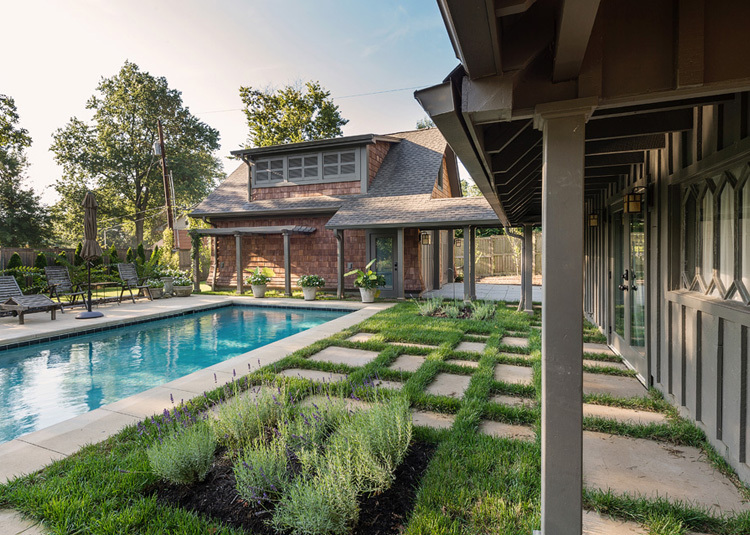 nomi was able to achieve the expansion of the pool area by building placement and extension of the hardscape with concrete pavers into the landscape. Careful grading and placement of a low landscape wall allows the spaces to be connected with ease of pedestrian movement. The garage was placed at the rear of the property to align the circulation with the east side of property and to hide a large underground cistern at the rear of the property. With specific details and materials the new elements lock into the existing house and pool.